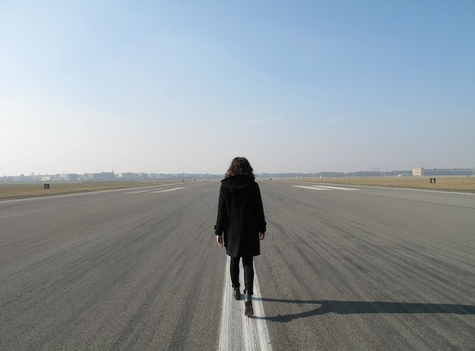 Lauren Brincat, _This Time Tomorrow, Tempelhof_, 2011, Image courtesy the artist and Anna Schwartz Gallery; Lismore Regional Gallery’s exhibition From Here to There: Australian Art and Walking. 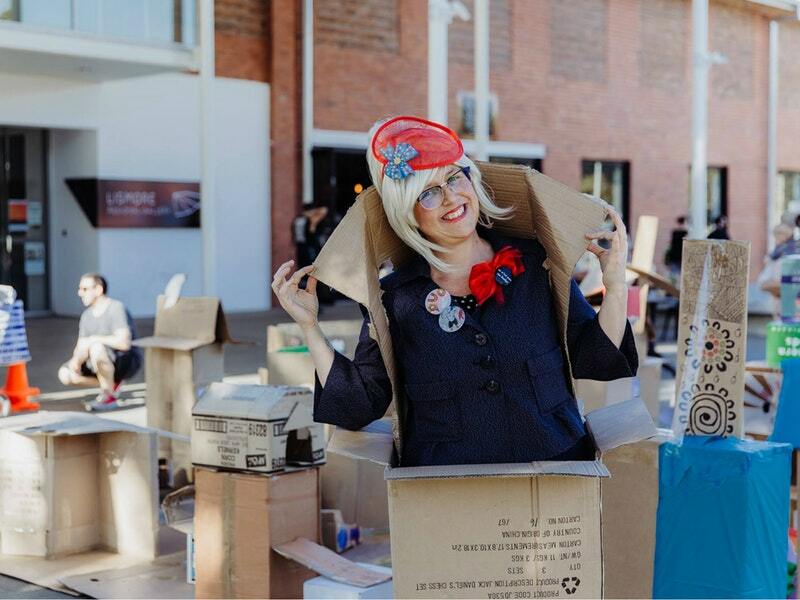 Peggy Popart, performing in her Art Activation program at Lismore Regional Gallery, delivered in 2017 in association with 100 Wonder Place and Supported by the Audience Development Fund. The Dobell Exhibition Grant (DEG), supported by the the Sir William Dobell Art Foundation, offers $40,000 in funding to one regional NSW gallery per annum. The program aims to support high quality exhibitions that speak to a broad audience across NSW. To assist in expanding appreciation for the visual arts, these exhibitions should be supported by innovative public and education programs that creatively engage both artists and the community. Exhibitions supported previously include Gravity (and Wonder), Penrith Regional Gallery & The Lewers Bequest; The Unflinching Gaze: photo media and the male figure, Bathurst Regional Art Gallery and Board, Lake Macquarie City Art Gallery. Funds can be used for costs that support the development and implementation of public or educational programs, provide seed funding to trial new models for public engagement and/or build new partnerships for audience development. Examples of past programs supported include the Talk Our Language workshop at Hurstville Museum & Gallery; The Art Keepers audience development project at Lismore Regional Gallery; 1000 Words – Arts and Literacy program for schools at Northern Rivers Community Gallery. The Audience Development Fund is a Create NSW devolved funding program, administered by Museums & Galleries of NSW (M&G NSW) on behalf of the NSW Government.